We often make deductions based on appearances and observations. In this section, we will learn how to describe what things appear to be based on our own and other people’s observations. The noun 「よう」（様） is the most generic word used to describe an appearance or manner of a state or action. She appears to be (a) student. (It) appears (you) like to watch movie(s). Looks like friend went home already. 「よう」 may, at times, sound somewhat formal and stiff. For casual situations, you can substitute 「みたい」 for 「よう」 to describe what something/someone looks like or appears to be. 「みたい」 at first glance, looks identical to 「見たい」 meaning “want to see”. You could even say it has a similar meaning as an outward appearance is how one wants to see something. 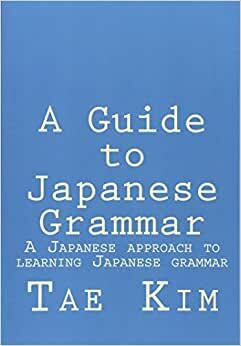 However, the key difference is that while all verbs in the 「～たい」 form such as 「見たい」 conjugate as an i-adjective, this 「みたい」 acts like a noun same as 「よう」. Tomorrow looks like rain, you know. Doesn’t this stuffed toy look like (a) dog? (My) head hurt this morning as well so it looks like (I) still have a cold. His wife is apparently amazingly cute, you know. In English, “seems like” or “looks like” is also used to made an educated guess. In Japanese, this is expressed by appending 「そう」 to the verb or adjective with the following rules. The resulting word becomes a na-adjective. (Based on guessing) looks tasty. Seems like (he/she) will not come. (Based on guessing) looks not tasty. (I) dislike rainy season. (It) looks like it’s going to rain today too, you know. Doesn’t (she) seem to be very free because she has no kids and doesn’t do (a) job? All (the) homework was easy so (there) doesn’t seem to be any problems for tomorrow’s test. In order to express what something appears to be based on what one heard from other people, we append 「そうだ」 (or 「そうです」) to the verb clause. At first glance, this grammar looks very similar to the previous grammar, however, the grammar rules are different. Also, this grammar must end in 「だ」 or 「です」 (for polite speech). Nouns and Na-adjectives: Add the declarative 「だ」 to the clause then attach 「そうだ」 or 「そうです」. (I) hear (she) is pretty. All other cases: Attach 「そうだ」 or 「そうです」 to the clause. (I) hear (she) doesn’t want to go. (I) hear he is fluent in Japanese. (I) hear that his wife is very pretty. (I) hear that (it will) snow tomorrow. (I) hear that (he) doesn’t want to come out because (it’s) raining. (I) hear that everybody is busy with the final exam(s) next week. 「らしい」 is another grammatical expression that expresses either hearsay or behavior. When used to express hearsay, unlike 「～そう」 from the previous section, it can be used to express impressions from non-specific hearsay rather than something specific that was said. Simply attach 「らしい」 to the end of the clause to express hearsay or behavior. It conjugates just like a regular i-adjective. It seems (based on hearsay) that (the) new amusement park that was built this year is very big and fun. (I) heard that it’s best to raise baby by breast milk for few months after birth. (It’s) not like him to be late to the promised time. That child is very reliable and doesn’t act like a child. “Acting like a man” will probably have different meanings depending on the person. A casual way to express similarity is to attach 「っぽい」 to the word that reflects the resemblance. Because this is a very casual expression, you can use it as a casual version for the different types of expression for similarity covered above （よう、みたい、らしい）. It conjugates just like a regular i-adjective. Today seems like (it’s going to) rain so (I) brought (an) umbrella. Lately, (it’s) cold and seems like (I have a) cold. Isn’t Alice a little manly? John: (Did you) hear? (It) seems like there’s (a) new exchange student. (I) hear (she’s a) Japanese girl! (Apparently she’s) really cute, you know. Lee: Really? That’s big news, isn’t it? I wonder what kind of person (she) is? John: (I) haven’t met (her) yet but let’s talk (to her) a little bit at lunch break. Alice: Hey, what are (you) talking about? John: Nothing in particular. Nothing that concerns Alice-chan. Lee: Did Alice-chan meet (the) new exchange student? Alice: What? (You’re) talking about Kaori-san? (I) talked (to her) a little bit yesterday. She’s girly and very cute girl. (Someone you) can quickly become friendly with kind of feeling? Moreover, what (do you) mean it has nothing to do with me? John: No, it’s nothing. Kaori-san, was it? What kind of boy does it seem she’ll like? Alice: Huh? (You) wouldn’t know that kind of think on (a) first meeting, right? Let’s see. By the look of things, boy(s) that don’t take anything seriously like John will definitely not be (her) type, most likely. John: Hey, aren’t (you) misunderstanding the kind of person I am? Lee: That’s right, Alice-chan. John is like a dummy, that’s all. Alice: No, (he’s a) genuine idiot.